Karl figured if anybody would be totally in sync with his wishes, it would be the loved ones closest to him – his wife and children. Writing these wishes down in documented form was something he thought was a good idea, but if something happened in the interim, he was confident that everyone would know what to do. Karl never did get around to putting the proper estate planning documents in place, much less discussing then with his family. As a result, with nothing in place, his family was headed for potentially long court proceedings due to a host of questions such as: Who is in the family? Who are the heirs? Who is going to step forward and become a representative for the estate?” And that was only the beginning. Why Does This Problem Keep Happening To Families? It’s a common perception that there are shared values within a family and that a surviving family member will implement the values of the person who has passed away. Yet we can hear and interpret things differently, as you may have experienced in your own family. Just because one person thinks that he or she has been clear doesn’t necessarily mean that somebody else fully understood what they were saying or intended. Add multiple family members with different interpretations and it isn’t long before there is potential for conflict. Also, memories fade. As time goes on, merely having talked about a topic at one point doesn’t necessarily mean that it’s going to be remembered. Saying “This Is What They Wanted” Is Often Not Enough. There are also some legal problems with the idea that a surviving family member will implement a decedent’s wishes if not properly documented. If one passes away intestate, or without a will, the provisions of the Probate Act will apply, regardless of other intentions. The best way to preserve those decisions is, again, to create the written estate plan. What one had thought about the issue will not overcome the default provisions provided by law if he never took action to make a document to preserve those decisions. 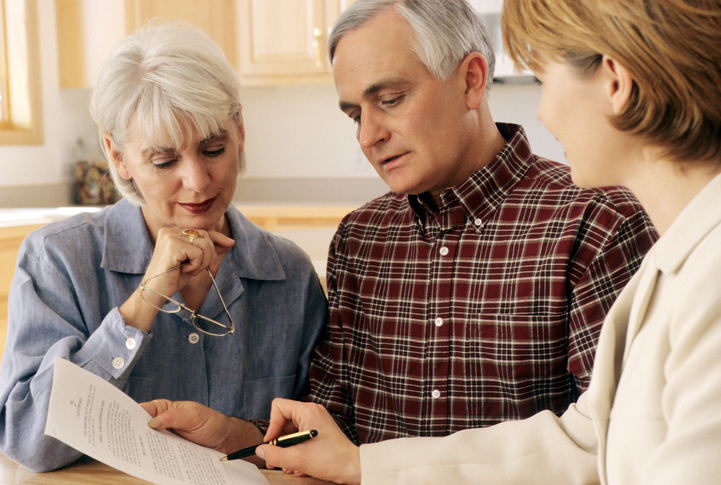 In many cases it involves a will; in others it may involve other estate planning documents. But the time to do that is before the need arises. Real estate can be a big question for an estate, particularly where the number of properties (or their respective value) does not match the number of heirs. Who gets what? What if at least two of those kids want the same real estate? What happens then? Is the property going to be kept in the family, or sold? If it remains in the family, how will the ownership and maintenance be addressed? Such issues should be resolved now. Imagine the type of questions when the owner of a family business passes away. What’s going to happen from here? In the case of a small business, there may be financial holdings, real estate, contracts, accounts receivable, intellectual property, inventory – and possibly liabilities as well. Without a plan, a statute could divide shares evenly among heirs, but that does not address the sale or continued operation of the business. If not easily allocated and no plan is in place, there is the potential for disagreement, operational dysfunction, and even a diminution in value or wasting of the business. The purpose of probate is to administer the assets of the estate. If you fail to put an estate plan in place, what difficulties might be in store for your heirs in the way of the assets they should receive? No structure and no plan could lead to a prolonged probate process, as well as costs and potential disagreements that could have been avoided. The clearest way to communicate your wishes is through a written estate plan that addresses the issues and leaves no question about it. They’re written down, fully documented, and properly executed. Most people would agree that avoidable costs and potential arguments are not part of the legacy they want to leave. It’s almost a given that without an estate plan, you’re going to have family members who disagree to the point of where the damage to the relationships could be irreparable. That’s not a legacy you want to leave behind. So talk with Windy City Legal about an estate plan that leaves no doubt as to what your intentions are for your family, your real estate, your business and any other important estate planning concerns. Do you have to give up control of your assets once you put them in a living trust? The answer is no – not necessarily. There are a lot of different kinds of trusts, to address many different goals and objectives. Also, some trusts are revocable and others are irrevocable. With revocable grantor trusts, the person (or couple) who owns the property and creates the trust often serves as the initial trustee. In the capacity of trustee, the grantor will have control of the property that is held by the trust. The trustee can sell it or exchange it. Financial assets can be invested. Real estate can be held for use, or it can be sold or rented, or another property purchased. Administering the assets as trustees rather than as individuals does not necessarily prevent the use of those assets. A popular formulation of such trusts is for the trust assets to be distributed only after the grantors pass away. When that is the structure that is elected and implemented, the grantors should have access to the assets they have titled into the trust. For more questions about wills, trusts and the types of considerations associated with estate planning, talk to Windy City Legal. No matter which stage of your life you are in, we’re here to help develop your estate plan to reflect it, and can help you keep it current as things change. It’s what we call Estate Planning For Life. Experience it for yourself by calling Windy City Legal today at 312-278-1187. Clients often express a desire to leave their estate to their children in equal shares. But when the estate includes a family business, that might not work. For example, consider a situation where the father, Frank, has spent the last several decades creating and building a family business. Now as Frank ponders retirement, he wants to leave the business to his three children, Amy, Brian, and Colleen. Amy is intensely interested in the business and has been working in it for the last several years. She knows the systems, processes, products, and clients. In fact, as Frank wanted to step back, Amy picked up the slack. She is ready to go immediately, so that the business keeps making money. Brian is totally uninterested. He is an outdoorsman at heart, and hates the idea of being behind a desk of any kind. Colleen has the aptitude for the business, but has a consulting job that has her working long hours. She is often out of town at client locations, and does not have the time to put into the family business. Dividing everything equally would be unfair and impractical. Amy would be putting in all of the work for only a third of the profit. That is a recipe for disputes among the three children. It also may create other problems that arise in operating a business with absentee owners, from morale problems to governance issues. Worse yet, it would be possible for Brian and Colleen to out-vote Amy in any significant business decisions, even though they do not have any experience with the business or its operations, employees, culture, or products. In other words, this is a case where an equal division would be unfair to Amy – and potentially also harmful to the business itself and to its employees. Instead, Frank might think about other allocations of assets. One possible way is to designate the business to Amy and other assets for Brian and Colleen. A different strategy may be for Frank to purchase life insurance for benefit of Brian and Colleen to give them reasonably equivalent value. And there may be other possible solutions. Estate planning fortunately allows a lot of flexibility to tailor a solution, and to avoid the kinds of situations that can impose stress on both the business and the family. If a small business is in the family, it pays to make sure that it will not fall apart because of – or due to – an artificial allocation among beneficiaries. How Do You Choose a Good Executor? One of the inevitable questions that comes up in estate planning is who to designate as the executor of your will. – Someone who is diplomatic. Nominating someone you trust is a clear necessity. An executor will be responsible for collecting information about the assets you own and the liabilities you owe, paying off any debts and taxes, and then eventually distributing the estate according to the terms of the will. You must have confidence in whoever is entrusted with such information and duties. Gathering the assets and liabilities requires some organization, particularly as statements from creditors and accounts owed roll in. Creditors may include utility service providers, open credit card accounts, home loans and mortgages, car loans, consumer installment contracts, medical service providers, subscriptions, clubs and societies that you belong to, insurance, and on and on. Assets may include bank and brokerage accounts, retirement accounts, insurance policies, real estate, personal property, and more. There potentially can be a lot to get organized, and someone who will approach it systematically is likely to be a strong choice. Finally, the larger the family, the greater the number of people who have a potential interest. That can also increase the potential for a dispute, whether based on emotions or family history or perceived unfairness. 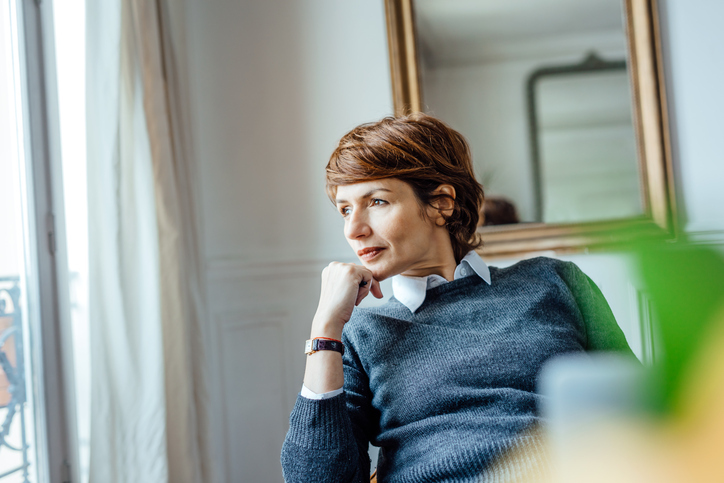 Having a diplomatic executor who can deal with such issues — particularly at a time when emotions can run high — may be best able to keep the family on track and focused on moving forward together, and to diffuse any tensions that build up. Myth: The Estate Plan We Wrote Will Be Fine Forever. When Shannon and Joe executed their Estate Plan, they were delighted to have a plan that reflects their true wishes, and even covers a variety of “what if” scenarios. “Now we have that out of the way,” they thought. Only a few years later, some things in Shannon and Joe’s life began to change. They became proud grandparents, then decided to move to be closer to them. Joe started talking about selling his business earlier than he originally thought he would. And they began talking about how to help fund college for the grandkids. These are not rare and unheard of circumstances, but they can impact the estate plans. And other unplanned, less fortunate circumstances can arise too. So how do you deal with the unplanned in estate planning? Some things you can see coming and some things you can’t. After all, life has its ups and downs. That’s why the best approach to estate planning is not to have a “one and done” mindset. Instead, we emphasize revisiting the Estate Plan every so often ,including for each phase of life and each major life event. We don’t want to think about your life’s work being a single conversation or document that you sign and gradually forget about. We want it to be something that grows with you, changes with you, and reflects where you are now as well as where you’re trying to go. 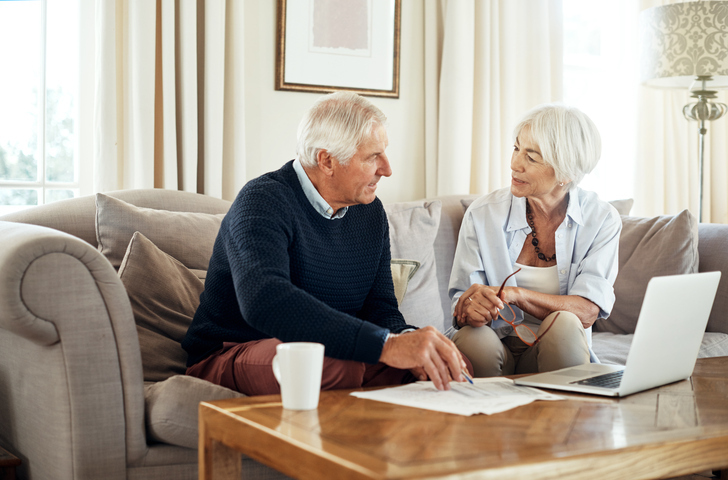 When you build your estate plan to take certain “what ifs” into account, you can better recalibrate where necessary, such as appointing different agents or reconfiguring the beneficiaries of certain things. There are also major life events that should be taken in account. Weddings. Births. Job changes. Perhaps divorce. Eventually death. How will these kinds of events impact what you have or want in the estate plan? It’s possible that such an event leads you to change certain allocations, or to add or subtract provisions to take care of certain family members. In addition, there may be insurance or retirement accounts may need to be updated. So rather than view the structure of your plan as permanent, look at it as a foundation you are continually building upon, re-shaping the structure where necessary. Over time, the law changes. For example, changes to the estate tax from time to time have changed certain estate planning priorities, and have led to different planning opportunities. Also, the enactment of HIPAA increased the healthcare-related documentation often included in plans. We’ve also seen technology changes, such as the increase in online transactions through email, financial accounts, and even online photography through Instagram, Facebook, etc. It’s now important for an agent or executor to be able to access these kinds of digital accounts. That wasn’t an issue years ago. 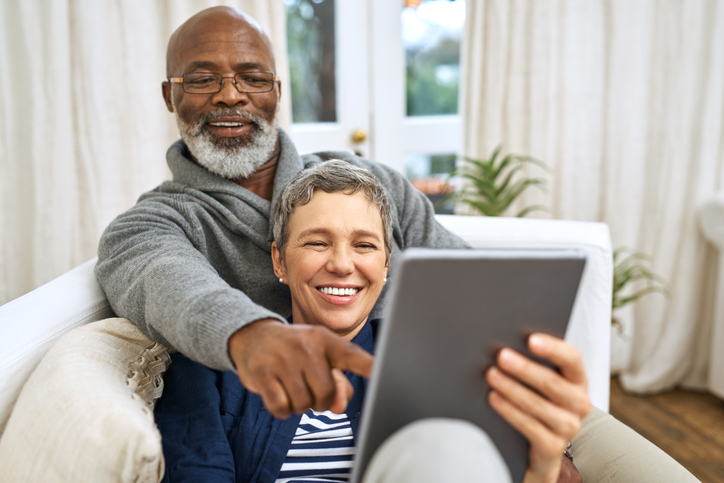 However, as technologies evolve, things change — and as they do, certain provisions in your estate plan may need to be updated. 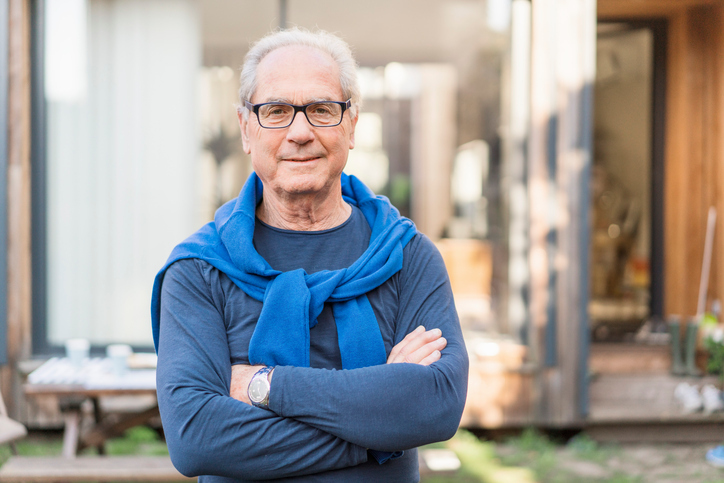 Life isn’t a simple plan – make sure your estate plan can keep up. If you don’t review an estate plan periodically, you’re taking a chance that you outgrow it. This creates a potential situation where you have documentation that doesn’t reflect your present set of circumstances. Instead, with an estate plan that’s regularly updated, you can rest easier knowing that for all of life’s changes, you’ve done everything you can to account for where you are today, and what your wishes are for tomorrow. Let Windy City Legal show you how Estate Planning For Life offers a long-term approach you can be comfortable with. To learn more, call Windy City Legal at 312-278-1187 or schedule a strategy session with us right from our Estate Planning page. John and Jessica are ready for a long and happy life together as they’re getting married in a few months. They’ve even decided to sit down with an estate planning attorney to talk about the long haul and putting some paperwork in place that expresses their wishes. But when is life ever truly “settled”? It seems like there always will be an impending life change happening. 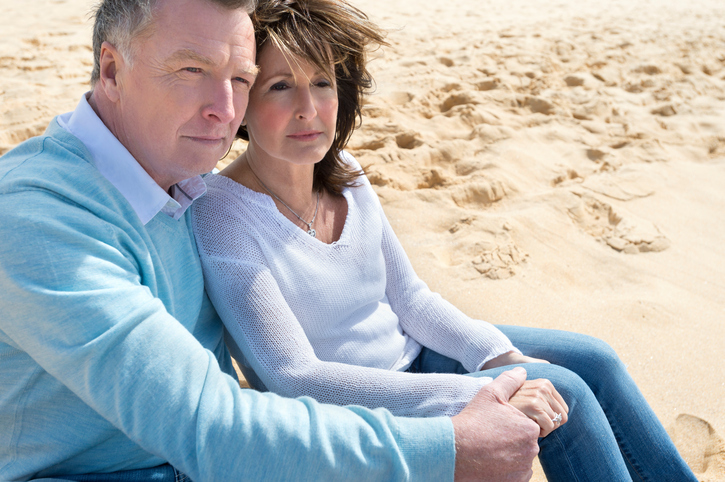 The instinct in people like John and Jessica is to wait until the change occurs so they can address estate planning to match their circumstances, but by the time they get past one event, another change will be on the horizon. A common fear of doing estate planning is that if you put plans in place today, those plans will be set in stone or inconsistent with your needs in no time. Instead, remember that life isn’t static and change is going to happen. This is not a reason to choose to do nothing at all. In fact, it’s when you know there’s a change coming up that you have an incentive to create or update your estate plan accordingly. But a significant life event does not always change the structure of your estate plan, and does not necessarily mean having to start from scratch just to account for the update. If you carry the assumption that you can’t take action right now, however, that attitude may result in you never taking any kind of action.  At Windy City Legal, we see clients who are going through changes great and small. The big changes can consist of events like a marriage, birth of a child, divorce, or the recent sale of a family business. There’s no doubt that these can change the picture of your estate plan. But remember that we can pivot the plan to face such change when we need to. Change, regardless of the degree of it, is not a reason to hold off on estate planning. Nor is it a reason to hold off on updating as you go. So rather than pressing the pause button and waiting for some mythical point in time when life “settles down,” seize the moment to tackle estate planning with us now. Call Windy City Legal at 312-278-1187 or schedule an estate planning strategy session with us today. Cindy thought about estate planning for a long time, but when she was finally ready to make an appointment with an estate planning attorney to talk about it, she read that the estate tax at the federal estate tax threshold was over $11 million, and the Illinois estate tax started at the $4 million level. Not long after, Cindy got in a car accident where she was severely disabled. Her family members were distraught and jumped in to try to act on her behalf. Unfortunately, that’s where the problems began. Though her family all wanted what was best for her, they could not agree on what that entailed. Since Cindy hadn’t done any estate planning, nobody knew her true wishes on healthcare for herself, and she hadn’t designated anyone to act on her behalf. Consequently, dealing with doctors, hospitals, and insurance was a struggle. Estate planning is for everyone who want to invest in continuity and stability for themselves and their family. Let’s take a closer look at some of the reasons why estate planning is important, regardless of income level or net worth. 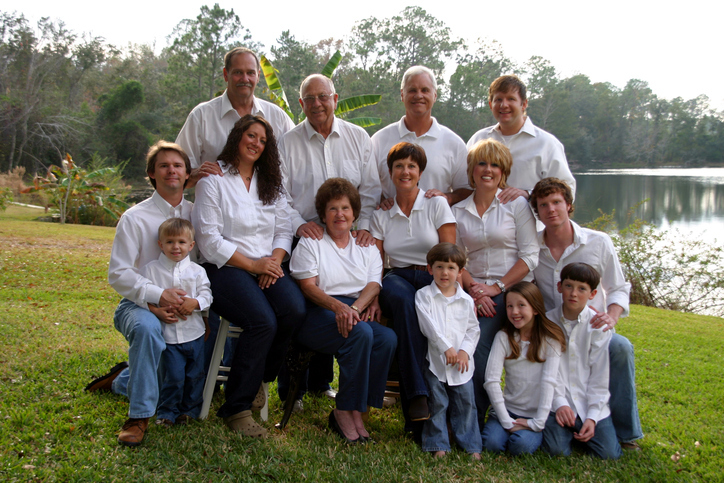 In the example of Cindy and her family, an estate plan can include healthcare planning. In the event of a disability or incapacity, somebody can step in and act based on instructions that are already written out. That way, the choices that you would make for yourself and take the actions that you would want taken can be implemented by the person designated to step in and help. Estate planning can also give designated people access to medical records so that doctors and hospitals can communicate with them. Some examples of healthcare planning documents that can be implemented include the healthcare power of attorney, living will, HIPAA authorization, and other advance directives. If you pass away or are incapacitated, who is going to take care of your children if they’re under the age of 18 or have special needs and can’t be left alone? Estate planning can help you nominate the individual you would like to see designated as guardian for your children. It also helps you think through who best would match your values, the needs of the child, and how care would be funded. Other considerations may include whether the potential guardian is good with children, responsible with money, and has a stable home and work life. Making a careful selection among those qualified and willing to act can minimize the impact of the change on the child. In contrast, failing to address the question of who to appoint would not make the question go away should the need arise. Instead, there is a chance that your family will be involved in a heated dispute over who should be the guardian of your children – and this is a period of time when the children are going to need as much stability as they can get. Prolonged court activity is not what will bring stability quickly. Or perhaps no qualified family member or friend of the family emerges, and the court appoints someone with no prior relationship to the child or the family. That’s usually a less desirable outcome than making a decision as far as who in the family is qualified and willing to take on that role. Probate is a process by which a decedent’s affairs are settled, debts are paid and property is distributed. It can take a significant period of time, and it is a public kind of proceeding. Estate planning offers opportunities to implement trusts and other structures that may reduce or eliminate the need to go through probate. Without estate planning, probate should be expected for people who own any real estate, or who have assets of $100,000 or more. That figure applies to everything, including cars, bank and brokerage accounts that are held in your name, any art, jewelry, or collections, household objects and furnishings, and more. With a lifetime of working and accumulating assets, it doesn’t take long to reach this threshold. Stability. Continuity. A strong family. These aren’t things that should be reserved for the very wealthy. Every person deserves it and estate planning is a key tool to deliver it from one generation to the next.  So whether you’re just starting out or have a high level of assets, Windy City Legal can help you customize a plan that addresses your needs, and identify any areas that need to be re-aligned. By having a discussion of what you have and what can be put into place, Windy City Show can show you why estate planning is an outstanding investment in yourself and your family. To get started, call Windy City Legal at 312-278-1187 or schedule an estate planning strategy session.